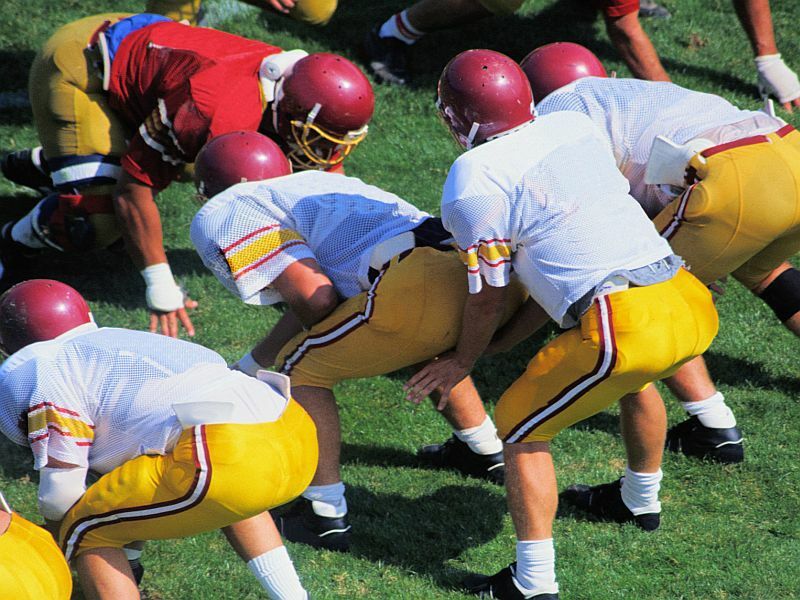 WEDNESDAY, July 27, 2016 (HealthDay News) -- Concussions are a major risk for high school football players, but new research found that limiting tackling during practices lowered the risk of blows to the head. "While this study wasn't designed to evaluate concussion rates, a reduction in overall head impacts will likely reduce injury risk," said Broglio, a certified physical trainer. "Concussions are always a risk for any athlete, in any sport, but football being a contact/collision sport carries a greater risk than many other sports." "During football, linemen are involved in every play, making contact with the player across from him," Broglio explained. "Conversely, a quarterback is often 'protected' during practices and receives little contact." Many state high school football associations already have tackling limitations in place, as does Pop Warner Football and several National College Athletic Association conferences, said Tamara Valovich McLeod, a co-author of the National Athletic Trainers' Association's position statement on Management of Sport Concussion. Broglio added that practices can be held using "thud" tackling, in which no player goes to the ground. "We don't know how these rules affect the risk of concussion," Broglio said. "I think it is important to continue to monitor the effect of these and other rule changes on concussion rates and concussion outcomes." McLeod added, "Since we do not have prospective data to determine the direct relationship between head impacts and concussion or long-term impairment, it is prudent to act conservatively and do what we can to limit exposure to head contact."